Hummer Winblad Venture Partners was founded in 1989 as the first VC fund to invest exclusively in software companies. 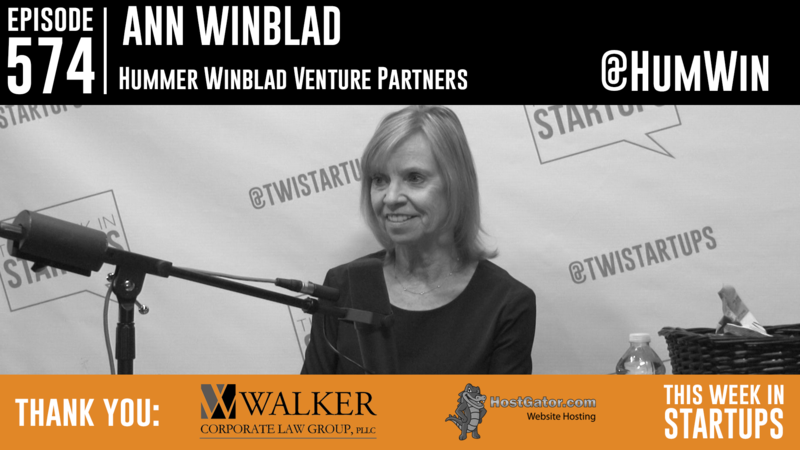 Today Jason sits down Ann Winblad, technology investing legend and the firm’s Co-founder and Managing Director. Jason and Ann discuss Ann’s journey as an entrepreneur and a wide range of riveting topics: how Ann started her first company Open Systems in 1976 and sold it for $16m in cash in 1983 (an enormous sum then! ), how there was only $350m invested in software in 1990 versus $23b in 2014, their unicorn-filled first fund w/ 8 of 16 investments going public, companies Ann wished they invested in, qualities she looks for in entrepreneurs, why companies go under, why A-round investing is so much fun but so few do it, why enterprise software is not in a bubble, why Bill Gates was the most impressive entrepreneur in the 1980’s (and what it was like dating him), her experiences as a woman in venture capital, being optimistic about the world’s future while concerned about America’s, and much more!